GBP had a sudden growth due to the positive economic reports in the UK, however this currency is still under the influence of the Brexit process. 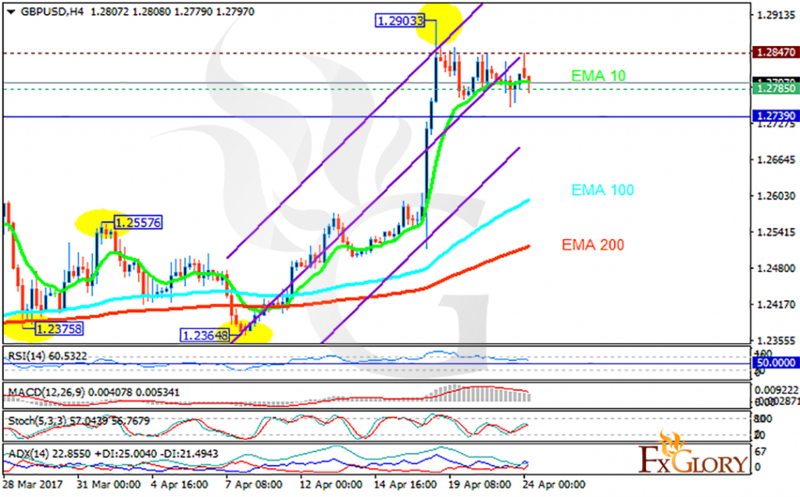 The support rests at 1.27850 with resistance at 1.28470 which both lines are above the weekly pivot point at 1.27390. The EMA of 10 is moving horizontally within the ascendant channel and it is above the EMA of 200 and the EMA of 100. The RSI is falling towards the 50 level, the Stochastic is moving in medium ranges and the MACD indicator is in positive territory. The ADX is not showing any clear signals. The support level seems to breaking and paving the way for further decline targeting 1.2700.